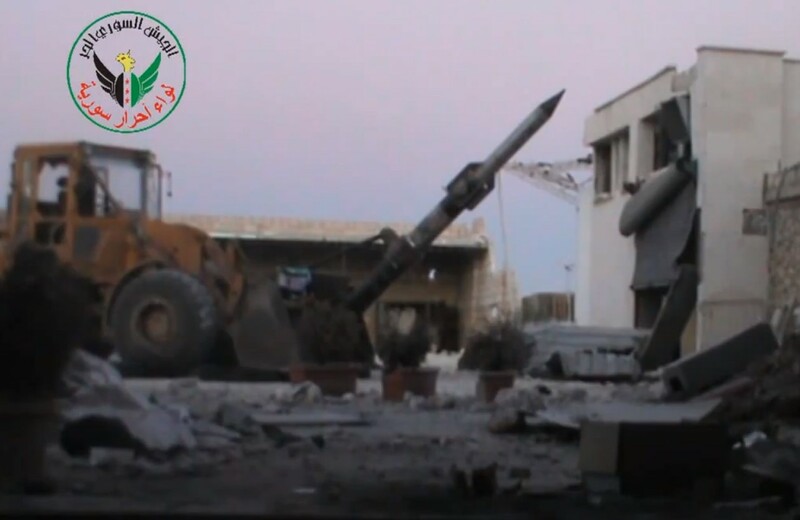 Towards the end of May, a new DIY weapon began to appear in Syria, dubbed the "Hell Cannon" by the Syrian opposition. The warhead was a propane gas cylinder loaded with explosives, and since May it's become an increasingly popular weapon among the opposition, with multiple videos of them shown in action being posted online. It would appear one advantage of welded it to the bucket is being able to use the digger to angle the launch platform, something that might save time when setting up the weapon, and probably makes loading the weapon less difficult. Thanks to Muffiner for help with this post.